Population Method - Select calendar population method (Ex: events, custom). Events - Add events to your calendar. Start Week On - Select first day of week. 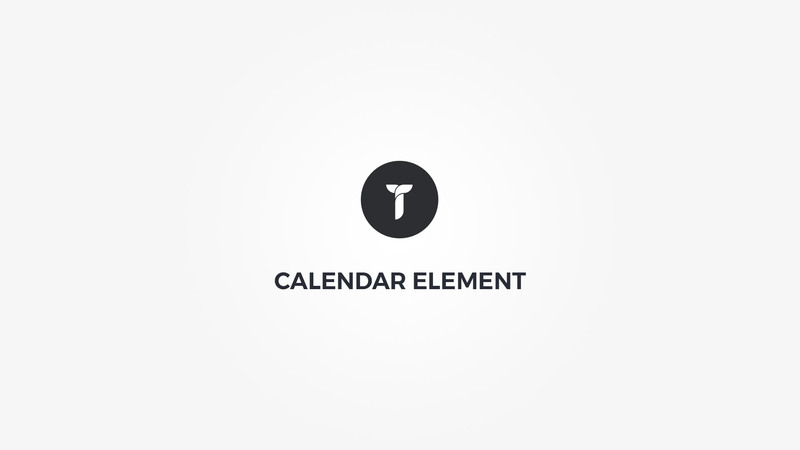 Calendar Type - Select calendar type. If custom type is choosen all colors, backrgounds and borders are removed from the calendar. The layout will remain in tact. This way you can CSS it on your own. Day - Adjust day color and background. Today & hovered day - Adjust today and hovered day color and background. Event day - Adjust event day color and background. Calendar header - Adjust calendar header styles. Event links - Adjust event links color. Theme default used if empty.